The patties are made with grated onion, fresh parsley and some other spices to give them a hint of Morocco. Then, they are topped with caramelized onions. Combine the ground beef and grated onion with the minced garlic, parsley, paprika, cumin and salt in a medium mixing bowl. Form into 4 patties. Place the patties on the grill tray or veggie basket. See note about ways to keep patties together when grilling. 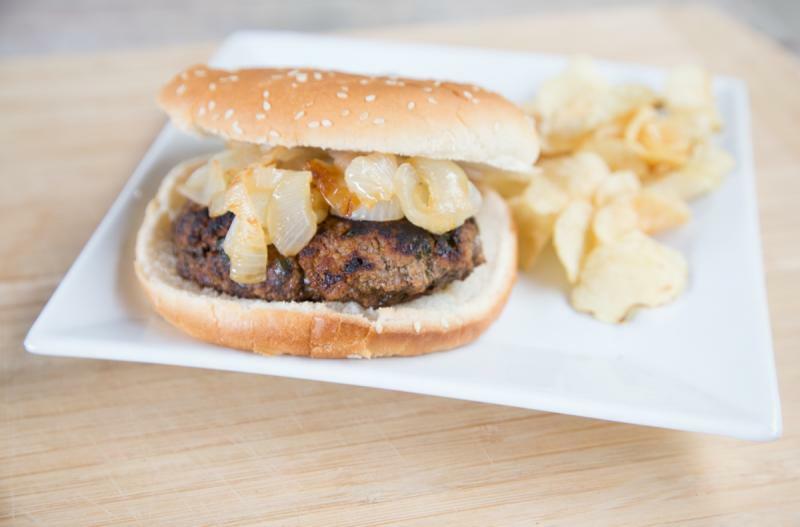 Grill for 5 to 6 minutes per side, or until internal temperature should reach 165 F.
While the burgers are cooking, caramelize the extra onions in a small skillet. Slice the onions, then add the olive oil and sugar to skillet and saute the onion slices over low heat for 20 - 30 minutes. 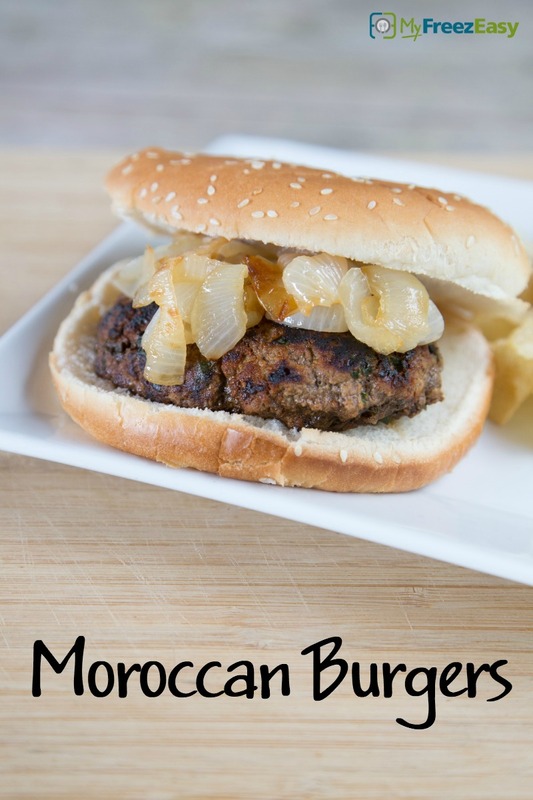 Serve Moroccan Burgers with caramelized onions and a side of chips and fruit. Grate 1 small white onion. Combine the 2 lbs. ground beef with the grated onion. Then mix in 2 tsp minced garlic, 8 tsp chopped parsley, 4 tsp paprika, 4 tsp ground cumin and 2 tsp salt in a medium mixing bowl. Form into 8 patties. Put baggie in the freezer and freeze up to 6 months in fridge freezer or 12 months in a deep freezer. Thaw in the fridge overnight, or a warm bowl of water for about 20 minutes, before transferring to the grill and grilling as directed. Caramelize the onions as directed and serve on the burgers. Serve on buns with caramelized onions, and side of chips and fruit.